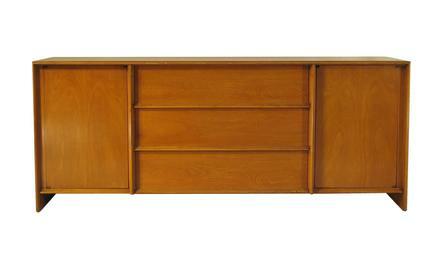 Elegant modernist buffet cabinet, a typical Robsjohn-Gibbings form for Widdicomb in this period. 70�w x 21.5�d x 28�h. Signed with Widdicomb cloth label as shown.